Sophie started her career in investment banking in New York before joining TIME Equity Partners, advising companies on their development strategy. However, wanting to be more deeply involved in start-up operations, she moved to London and was instrumental in the launch of HelloFresh UK, a Rocket Internet backed e-commerce company. She currently heads product strategy and commercialisation at Bankable, a payments start-up based in London. Sophie is passionate about start-ups and has previously mentored at Seedcamp and UKTI. She can advise young start-ups on their fundraising strategy as well as operational strategy including business model review, new product launch strategy and international development. 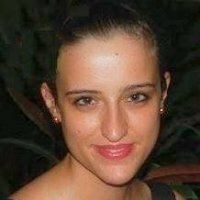 Originally from Bordeaux, Sophie studied Finance at HEC Montreal and Bocconi in Milan.